Your adventure begins here! Choose the secluded 3-bedroom Meadow House, close-in Farmstay Studio, cozy well-furnished Wall Tents, or the forested Campground with tent sites nestled among the trees. 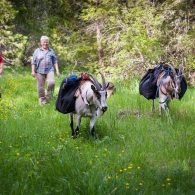 Friendly goats, chickens, ducks, geese and livestock guardian dogs will bring a smile to your face on this historic, off-grid ranch. We are on the homeland of the Shasta and Takelma peoples. At nearly a mile high in the Southern Cascades near Ashland, Oregon, our 445 acres feature meadows filled with wildflowers, conifer forests, oak woodlands, springs, wetlands, and streams flowing from the crest of the Bear Creek Watershed. Willow-Witt Ranch is proud to share the best aspects of regenerative organic vegetable and livestock farming through an exciting, family-friendly experience. Feel the daily rhythms of caring for animals, vegetables gardens, and healthy land while living right on the farm. Join us for the tour, chores or work in the gardens, go for a hike, or simply relax and enjoy the quiet. Through wetland restoration, energy independence, and sustainable organic agricultural and forest management, we’ve created a sanctuary for wildlife and an ideal retreat from the hectic pace of everyday life. We offer a variety of ways for you to stay on our farm: the Meadow House sleeps up to 10 and the Farmhouse Studio offers 2 queen beds and a double sofa bed. Both houses feature well-stocked full kitchens and luxurious bedding. Our 4 well-furnished Wall Tents sleep 2 or 4, and the campground also features private campsites for your own tent. The campground has an extensive open-air Cookhouse and wheelchair accessible Bathhouse with indoor and outdoor hot showers. Our intimate Farm Stay Studio has been featured in the travel section of the LA Times and other national media. Guests appreciate the privacy of our lodgings, personal connection with the farmers, and especially the sense of discovery that permeates this high mountain ranch, well off the beaten track. We raise certified organic goats and chickens and sell raw goat milk, eggs, vegetables, and goat sausages at the Growers’ Market and our Farm Store. 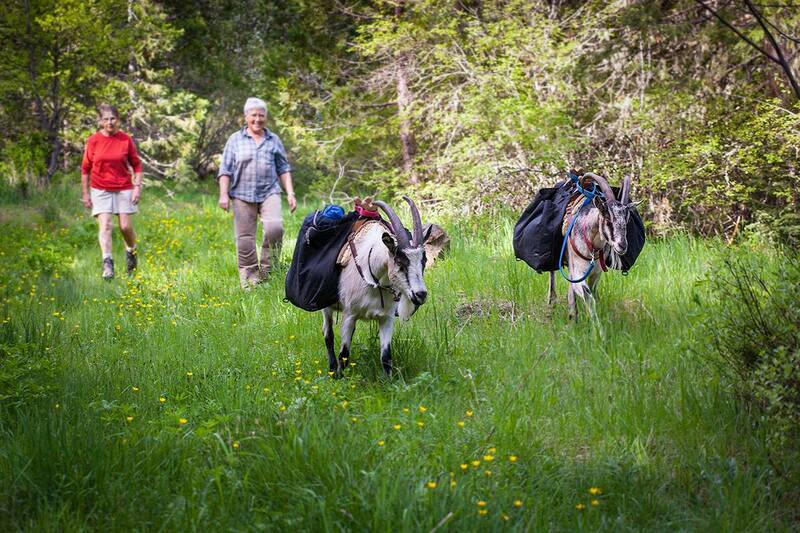 We enjoy hosting the public at open barn days and offer tours of the ranch, birding on-farm with the Klamath Bird Observatory, dining with local food and wine enthusiasts right in our pastures, and hiking with pack goats to take in spectacular views. Only 12 miles from Ashland, Willow-Witt Ranch is the perfect place to return to after a fun day at the Oregon Shakespeare Festival, rafting the Rogue River, or touring Crater Lake or Southern Oregon Wineries. Come see what it’s all about. You’ll remember your Farm Stay at Willow-Witt Ranch for a lifetime. Read more about us in this Farm Stay U.S. blog post! 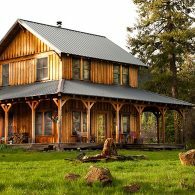 The Meadow House is a 3-bedroom, 2-bath house on a secluded knoll overlooking hundreds of acres of meadows and forest. Special Instructions: Entire downstairs, including one double bedroom and bath is wheelchair accessible. The full kitchen and pantry invite creative cooking and we invite you to pick and purchase organic vegetables from our gardens and shop at Farm Store. The fridge is stocked with fresh milk and eggs, and butter. Upstairs bedrooms: Bath,queen bed and twin sleeper sofa in east room, two twin beds plus trundle in west room. Very comfortable double sleeper sofa in living room. Luxurious linens throughout. Great light and wrap around porch. Wood heat, firewood included. Complimentary farm tour. Instructions: $25 for each additional guest over 6. 2-night minimum. Kids under 2 free. Weekly Rates Available. Special Instructions: Full kitchen and pantry invite creative cooking. Loft has 2 queen beds, main floor has bath, kitchen and comfortable sleeper sofa. We invite you to pick and purchase from organic vegetable gardens and shop at Farm Store. Fridge is stocked with fresh milk and eggs, and butter. Complimentary farm tour. Instructions: 2-night minimum. Kids under 2 free. Weekly rates available. 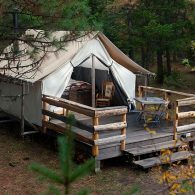 Special Instructions: Furnished Wall Tent has two double beds with luxurious linens. Wood stove, table and chairs on porch. Use of full well-stocked kitchen and Bathhouse with hot water showers indoors and out. Footpath to farm, complimentary farm tour. 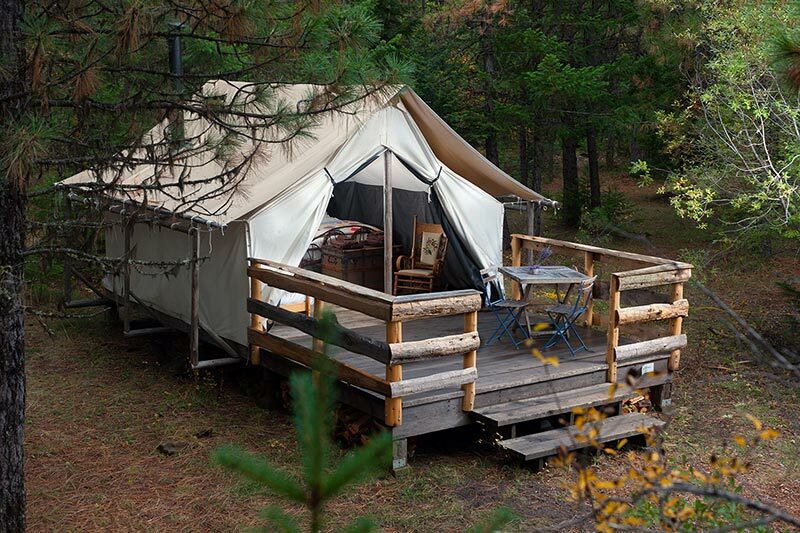 Special Instructions: Furnished Wall Tent has one queen bed with luxurious linens. Wood stove, table and chairs on porch. Use of full well-stocked kitchen and Bathhouse with hot water showers indoors and out. Footpath to farm, complimentary farm tour. Special Instructions: Secluded forested walk-in tent sites are all close to full well-stocked kitchen and Bathhouse with hot water showers indoors and out. Footpath to farm, complimentary farm tour. Instructions: No minimum stay. Weekly rates available.